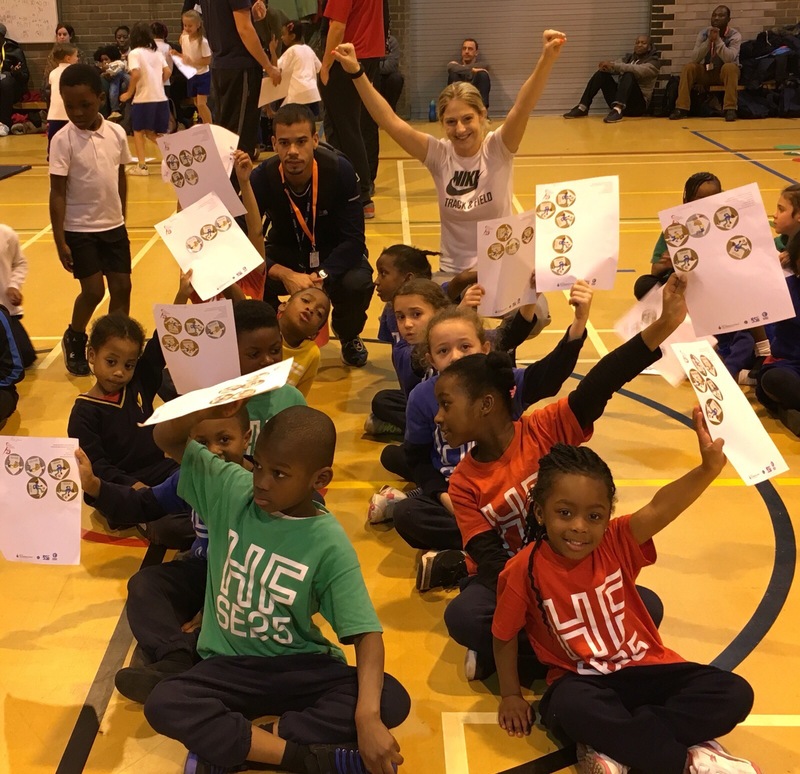 Yesterday, we took a team of Year 1 and 2 children down to Harris Academy, Crystal Palace for the Sportshall Athletics competition. This included lots of activities, such as running, jumping, throwing and balancing. This was a really fun event and the Heavers Farm children competed really really well, collecting a number of gold and silver stickers for each event! Well done to all of our star athletes from Years 1 and 2. Everyone is very proud of our performances! A special well done to Deshane from Jade class, who was nervous at the start but found his feet and gained an array of gold stickers! Have a look at the pictures below to see some of the activities the children got up to. Next Post Just one week to go until the Christmas Fair! !